New York City's Plan To Eliminate Cash Bail For Low-Level Defendants Begins Next Year : The Two-Way NPR's Joel Rose reports that the goal of the plan is to reduce the number of people in the city's jail on Rikers Island. 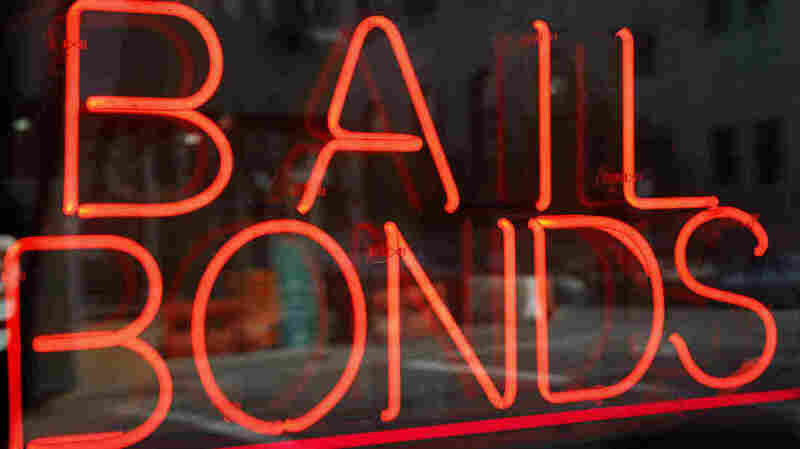 The Associated Press reports that 14 percent of criminal defendants are held on bail in New York City. New York City has a plan to end the requirement of cash bail for defendants who are accused of low-level or non-violent crimes. NPR's Joel Rose reports that the goal is to reduce the number of people in the city's jail on Rikers Island. "Starting next year, judges in New York City will have the option to replace cash bail for low-risk defendants with more additional supervision options. City officials say that will cut unnecessary pre-trial detention by letting thousands of suspects live with their families and keep their jobs while their cases wind through the courts," Joel says. Joel reports that thousands of defendants are put in detention each year because they can't afford the relatively small amounts of cash bail. The Associated Press reported that once the plan goes into effect, cash bail for these defendants can be replaced with other supervision options, like text-message monitoring and drug rehab therapy. Eighteen million dollars will be spent on these alternatives. "Currently, about 41 percent of criminal defendants who pass through New York City courts annually are released on their own recognizance and another 14 percent, or 45,500 people, are held on bail. "About 87 percent of the 1,100 people on supervised release in already-existing city pilot programs return to court when they're supposed to, officials said. "Initial funding, provided by the Manhattan district attorney, allows for as many as 3,000 defendants charged with misdemeanors or non-violent felonies to bypass bail. ... Officials say they would like to expand non-bail options to include thousands more." The AP report says that state law makes entirely eliminating bail complicated – New York judges are required to consider a defendant's risk of flight, not their risk of reoffending, when determining bail. Joel says calls to reform the system gained traction after 22-year-old Kalief Browder committed suicide. Browder wasn't able to make the $3,000 bail when he was charged with stealing a backpack. He spent more than three years on Rikers Island and the charges were ultimately dropped.